Genetic selection for litter size and improved management practices has resulted in more piglets farrowed per litter, yet, improvements in litter size have compromised piglet survival. As litter size has increased over the past decade the swine industry has observed an erosion in piglet quality. Piglet birth weight is a major component of piglet quality at weaning. Hence, strategies are needed to reduce the percentage of low birth weight piglets. Genetically, differences in piglet quality exist between sire lines. Nutritionally, increasing the feeding level of gilts in late-gestation has consistently been shown to increase piglet birth weight. Further studies are needed using modern, hyper-prolific females to identify technologies that improve piglet birth weight. Genetic selection for litter size and improved management practices have resulted in more piglets farrowed per litter in the United States (Knauer and Hostetler, 2013). Yet, improvements in litter size have compromised piglet survival (Figure 1). Reductions in piglet survival can be explained, in part, by piglet birth weight. Hence, management strategies to enhance these traits are needed to improve piglet survival and reproductive throughput. Figure 1: U.S. total number born (TNB), number weaned (NW) and piglet survival (NW÷TNB) by year (Knauer and Hostetler, 2013; Stalder, 2017). Piglet birth weight has clear associations with production throughput and efficiency. An increase of one piglet per litter is associated with a 30 to 50 gram reduction in average piglet birth weight (Opschoor et al., 2010). Hence, issues with low birth weight piglets have increased over the past decade. Low birthweight piglets have greater preweaning mortality (Fix et al., 2010a), in part due to lower colostrum intake (Devillers et al., 2007) and challenges maintaining body temperature (Alonso-Spilsbury et al., 2007). Chilled piglets seek the sow’s udder for warmth making them more likely to be crushed. Fix et al. (2010a) further reported low birth weight piglets had greater mortality in the nursery. In relation to growth rate, low birth weight piglets have poorer average daily gain from birth to weaning, in the nursery and throughout the finishing phase (Fix et al., 2010b). Taken together, these results show low birth weight piglets are less likely to be full value market hogs (Figure 2, Fix et al., 2010a). Besides improvements in throughput, greater piglet birth weight is associated with improved feed efficiency in the finisher at a fixed weight (Wolter et al., 2002; Knauer, 2017). Hence improving average piglet birth weight offers opportunities to increase farm income and reduce costs. 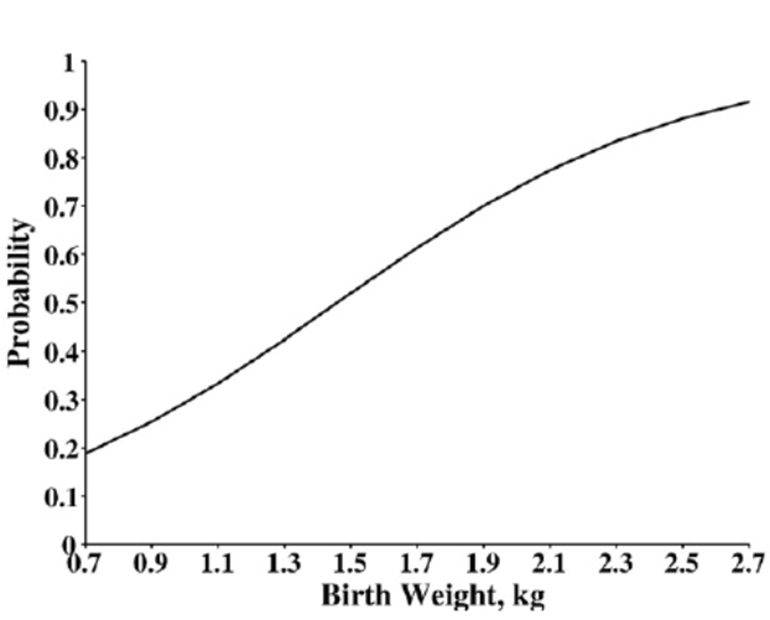 Figure 2: Association between piglet birth weight and likelihood of a pig being full value at market (Fix et al., 2010a). Genetic selection for litter size in modern maternal lines, without simultaneous improvements in piglet quality, has increased the percentage of low birth weight piglets (Holl and Long, 2006). Yet many genetic suppliers have recently changed their selection practices to put more emphasis on piglet birth weight or other piglet quality measures. Yet genetic change takes time. Maternal line improvements in piglet quality made at the nucleus level will take years to filter down to the commercial level of production. Genetic differences between sire lines for birth weight exist. Parker and Knauer (2017) reported Duroc-sired piglets were 110 grams heavier at birth when compared to maternal white line-sired piglets. Thus, identifying terminal sire lines that have greater piglet birth weight may be a viable strategy to enhance piglet quality. Opschoor et al. (2010) reported management practices associated with piglet birth weight across 19 Dutch farms. Farmers were asked a multitude of questions related to their farm. The following given answers are not significantly different (P>0.05) but biologically meaningful. Although not significant (P=0.30), gilts quarantined before herd entry had a 39 gram higher average piglet birth weight in comparison to gilts directly introduced. Sows group housed had a 61 gram greater (P=0.34) average piglet birth weight in comparison to sows housed in gestation stalls. These results are supported by Bates et al. (2003) who reported sows in group housing had higher litter birth weight than sows from individual stalled gestation. The reason sows from group gestation systems tend to have higher piglet birth weights relative to stalls is unclear. Perhaps increased exercise in group gestation, relative to sows in stalls, increases average piglet birth weight. This is supported by Hale et al. (1981) who reported sows that were exercised on a treadmill for 15 minutes per day had numerically higher average piglet birth weights (~70 grams) in comparison to those that were not. Opschoor et al. (2010) further showed the use of prostaglandins numerically lowered (P=0.32) average piglet birth weight by 43 grams in comparison to natural farrowing. In agreement, Welp and Holtz (1985) reported piglet birth weight was slightly lower in sows given prostaglandins under field conditions. Since rapid piglet growth occurs during the latter part of gestation, it would be expected that artificially shortening gestation length through prostaglandin use would reduce average piglet birth weight. The individual collecting data for Opschoor et al. (2010) gave an overall farm hygiene score (very good, good or average) when visiting each farm. The subjective score was based on availability of protocols and overall impression of hygiene. Average piglet birth weight tended (P=0.10) to be associated with farm hygiene. Average piglet birth weight for farms with very good hygiene weighed 104 grams more than good farms and 224 grams more than average farms. These results support the idea that excellent management will be reflected in a farm’s production. Increasing a sow’s feeding level in late-gestation is commonly referred to as “bump feeding.” Bump feeding has consistently been shown to increase piglet birth weight in gilts (Table 1) but not sows (Table 2). Yet Cromwell et al. (1989) reported average piglet birth weight was increased in sows that were bump fed multiple reproductive cycles. Hence, bump feeding modern, hyper-prolific sows over multiple cycles warrants further investigation. Table 1: Effect of increasing gilt feeding level in late gestation on average piglet birth weight. Table 2. Effect of increasing sow feeding level in late gestation on average piglet birth weight. Increasing lysine over nutrient requirements during specific periods of gestation has been shown to enhance piglet birth weight by Yang et al. (2009) and Zhang et al. (2011) (Table 3). While these studies are promising, they need to be replicated using modern, hyper-prolific genetics. Attempts to increase lysine and/or other amino acids by increasing soybean meal has been reported to have little impact on average piglet birth weight (Table 4). Table 3: Effect of gestation lysine level on average piglet birth weight. Table 4: Effect of gestation soybean meal level on average piglet birth weight. Feeding L-carnitine in gestation has consistently been reported to increase average piglet birth weight (Table 5). Yet few or no studies have been reported the past decade using modern, hyper-prolific genetics. Table 5: Effect of gestation L-carnitine on average piglet birth weight. Feeding β-Hydroxy-β-methylbutyrate (HMB) in gestation has been reported to increase piglet birth weight several times (Table 6). Yet the most recent study, using hyper-prolific genetics, reported no differences between the HMB treatment and the control (Parker and Knauer, 2017). Perhaps more studies are needed associating HMB with piglet birth weight using modern, hyper-prolific genetics. Table 6: Effect of gestation β-Hydroxy-β-methylbutyrate (HMB) on average piglet birth weight. The author would like to thank the North Carolina Department of Agriculture Tidewater Research Station for their continued assistance in seeking solutions to enhance piglet quality. Alonso-Spilsbury, M., R. Ramírez-Necoechea, M. González-Lozano, D. Mota-Rojas, and M. E. Trujillo-Ortega. 2007. Piglet survival in early lactation: A review. J. Anim. Vet. Adv. 6:78-86. Bates, R. O., D. B. Edwards, and R. L. Korthals. 2003. Sow performance when housed either in groups with electronic sow feeders or stalls. Livest. Prod. Sci. 79:29-35. Birkenfeld, C., J. Doberenz, H. Kluge, K. Eder. 2006. Effect of L-carnitine supplementation of sows on L-carnitine status, body composition and concentrations of lipids in liver and plasma of their piglets at birth and during the suckling period. Anim. Feed Sci. Tech. 129:23-38. Cromwell, G. L., D. D. Hall, A. J. Clawson, G. E. Combs, D. A. Knabe, C. V. Maxwell, P. R. Noland, D. E. Orr, Jr., and T. J. Prince. 1989. Effects of additional feed during late gestation on reproductive performance of sows: a cooperative study. J. Anim. Sci. 67:3–14. Devillers, N., Farmer, C., Le Dividich, J., and Prunier, A. 2007. Variability of colostrum yield and colostrum intake in swine. Animal 1, 1033–1041. Doberenz, J., Birkenfeld, C., Kluge, H., Eder, K. 2006. Effects of L-carnitine supplementation in pregnant sows on plasma concentrations of insulin-like growth factors, various hormones and clinical chemical variables and chorion characteristics. J. Anim. Physiol. Anim. Nutr. 90:487–499. Fix, J. S., J. P. Cassady, J. W. Holl, W. O. Herring, M. S. Culbertson, and M. T. See. 2010a. Effect of piglet birth weight on survival and quality of commercial swine. Livest. Sci. 132:98-106. Fix, J. S., J. P. Cassady, W. O. Herring, J. W. Holl, M. S. Culbertson, and M. T. See. 2010b. Effect of piglet birth weight on body weight, growth, backfat, and longissimus muscle area of commercial market swine. Livest. Prod. Sci. 127:51-59. Flummer, C., and P. K. Theil. 2012. Effect of b-hydroxy b-methyl butyrate supplementation of sows in late gestation and lactation on sow production of colostrum and milk and piglet performance. J. Anim. Sci. 90:372-374. Garrison, C., E. van Heugten, J. G. Wiegert, and M. T. Knauer. 2017. Got Colostrum? Effect of diet and feeding level on piglet colostrum intake and piglet quality. J. Anim. Sci. 95(Suppl. 1):113. Gonçalves, M. A. D., K. M. Gourley, S. S. Dritz, M. D. Tokach, N. M. Bello, J. M. DeRouchey, J. C. Woodworth, and R. D. Goodband. 2016. Effects of amino acids and energy intake during late gestation of high-performing gilts and sows on litter and reproductive performance under commercial conditions. J. Anim. Sci. 94:1993-2003. Hale, O. M., C. V. Booram, and W. C. McCormick. 1981. Effects of forced exercise during gestation on farrowing and weaning performance in swine. J. Anim. Sci. 52:1240-1243. Holl, J., and T. Long. 2006. Improving weaned pig quality in today’s large litters. Record of 31st Proc. National Swine Imprv. Fed. Conf. Ann. Mtg. Nashville, TN. Dec. 7-8. Knauer, M. T., and C. E. Hostetler. 2013. US swine industry productivity analysis, 2005 to 2010. J. Swine Health Prod. 21:248-252. Knauer, M. T. 2017. Piglet quality can impact subsequent grow-finish performance. National Hog Farmer Daily. Knauer, M. T., and E. van Heugten. 2018. Effect of soybean meal supplementation during gestation on piglet quality. J. Anim. Sci. 96(Suppl. 1). Krakowski, L., J. Krzyzanowski, Z. Wrona, K. Kostro, A. Siwicki. 2002. The influence of nonspecific immunostimulation of pregnant sows on the immunological value of colostrum. Vet. Immunol. Immunopatology. 87:89-95. Mahan, D.C. 1998. Relationship of gestation protein and feed intake level over a five-parity period using a high-producing sow genotype. J. Anim. Sci. 76:533–541. Musser, R. E., Goodband, R. D., Tokach, M. D., Owen, K. Q., Nelssen, J. L., Blum, S. A., Dritz, S. S. and Civis, C. A. 1999. Effects of L-carnitine fed during gestation and lactation on sow and litter performance. J. Anim. Sci. 77:3289-3295. Nissen, S., T. D. Faidley, R. Zimmerman, R. Izard, C. H. T. Fisher. 1994. Colostral milk fat percentage and pig performance are enhanced by feeding the leucine metabolite 3-hydroxy-3-methylbutyrate to sows. J. Anim. Sci. 72:2332-2337. Opschoor, C. T., S. Bloemhof, M. Knauer, and E. F. Knol. 2010. Topigs Technical Report. Parker, M., and M. T. Knauer. 2017. Effect of gestational β-hydroxy-β-methylbutyrate supplementation and sire line on piglet quality. J. Anim. Sci. 95(Suppl. 1):30-31. Ramanau, A., Kluge, H., Spilke, J., Eder, K. 2002. Reproductive performance of sows supplemented with dietary l-carnitine over three reproductive cycles. Arch. Anim. Nutr. 56:287-296. Ramanau, A., Kluge, H., Spilke, J., Eder, K. 2008. Effects of dietary supplementation of L-carnitine on the reproductive performance of sows in production stocks. Livest. Sci. 113:34-42. Shelton, N. W., C. R. Neill, J. M. DeRouchey, M. D. Tokach, R. D. Goodband, J. L. Nelssen, and S.S. Dritz. 2009. Effects of increasing feeding level during late gestation on sow and litter performance. Kansas State University, Agricultural Experiment Station and Cooperative Extension Service, Manhattan, KS. p. 38–50. Soto, J., L. Greiner, J. Connor, and G. Allee. 2011. Effects increasing feeding levels in sows during late-gestation on piglet birth weights. J. Anim. Sci. 89(E-Suppl. 2):86. Stalder, K. J. 2017. 2016 Pork industry productivity analysis. National Pork Board Report. Tatara, M. R., E. Śliwa, W. Krupski. 2007. Prenatal programming of skeletal development in the offspring: effects of maternal treatment with β-hydroxy-β-methylbutyrate (HMB) on femur properties in pigs at slaughter age. Bone. 40:1615-1622. Tatara, M. R., W. Krupski, B. Tymczyna, T. Studzinski. 2012. Effects of combined maternal administration with alphaketoglutarate (AKG) and β-hydroxy-β-methylbutyrate (HMB) on prenatal programming of skeletal properties in the offspring. Nutrition and Metabolism 9:39. Thomas, L. L., L. K. Herd, R. D. Goodband, S. S. Dritz, M. D. Tokach, J. C. Woodworth, J. M.DeRouchey, M. A. D. Goncalves, and D. B. Jones. 2018. Effects of increasing standardized ileal digestible lysine during gestation on growth and reproductive performance of gilts and sows under commercial conditions. J. Anim. Sci. 96(Suppl. 1). Welp, C., and W. Holtz. 1985. Induction of parturition with prostaglandin analogs under field conditions. Anim. Reprod. Sci. 8:171-179. Wiegert, J. G., C. Garrison, and M. T. Knauer. 2017. Characterization of birth weight and colostrum intake on piglet survival and piglet quality. J. Anim. Sci. 95(Suppl. 1):32. Wolter, B. F., M. Ellis, B. P. Corrigan, and J. M. Dedecker. 2002. The effect of birth weight and feeding supplemental milk replacer to piglets during lactation on preweaning and postweaning growth performance and carcass characteristics. J. Anim. Sci. 301-308. Yang, Y. X., S. Heo, Z. Jin, J. Y. Choi, S. Y. Yoon, B. K. Yang and B. J. Chae. 2009. Effects of lysine intake during late gestation and lactation on blood metabolites, hormones, milk composition and reproductive performance in primiparous and multiparous sows. Anim. Reprod. Sci. 112:199-214. Zhang, R. F., Q. Hu, P. F. Li, L. F. Xue, X. S. Piao, and D. F. Li. 2011. Effects of lysine intake during middle to late gestation (day 30 to 110) on reproductive performance, colostrum composition, blood metabolites and hormones of multiparous sows. Asian-Aust. J. Anim. Sci. 24:1142–1147.